Whooping cough is no joke. I know because I came down with it the day after Thanksgiving. My poor little girl followed a week later. It was 10 weeks of sheer awfulness. There were times when I thought we were not going to make it through. Unfortunately, we didn’t discover that our illness was whooping cough until it was too late to really do much about it. We were in the second stage of it and all we could do was try to support our system as much as possible. Let me tell you – whooping cough is a nasty, nasty beast and it does not respond well to much. The cough was unbearable. It would come in fits day and night. The mucus build up in our chest was pretty horrific as well. 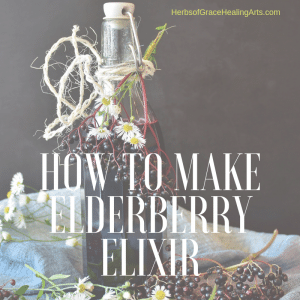 While we took quite a few tinctures and constantly had herbal teas in hand, I knew that I needed to find something that took the edge of our chest congestion as well as something to stop the spastic coughing fits…especially at night. Thank goodness for essential oils and a few other ingredients that you can find through my affiliate partner Amazon. What I was able to create absolutely helped us get through some of the worst moments of whooping cough. We were taking other support as I mentioned but I do believe the chest rub and steam helped us tremendously. I want to make it clear that I am not a medical professional nor do I pretend to play one on this site. I am also not making any medical claims about the powers of the essential oils I used. 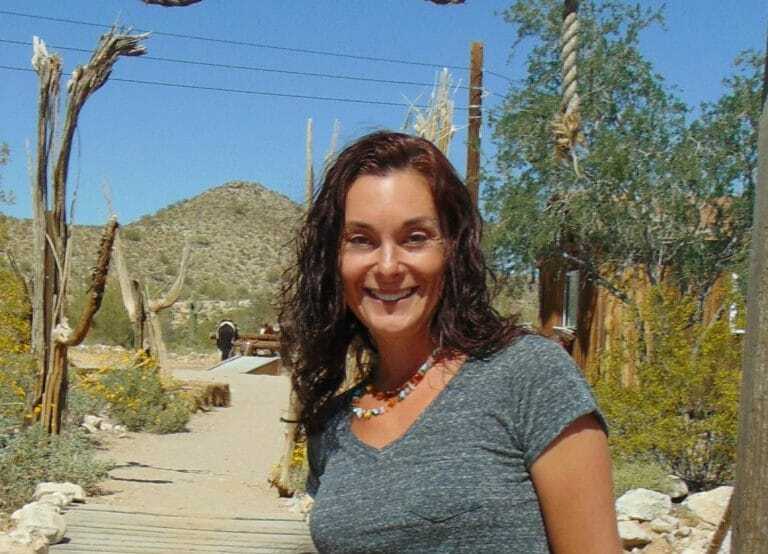 I am simply sharing my experience as it relates to the two products I made, used, and had success with. In addition, this post is a sponsored conversation courtesy of one of my favorite lines of essential oils – GEO Essential Oils. All opinions are completely my own because that’s how I roll. Ok – on with the show. 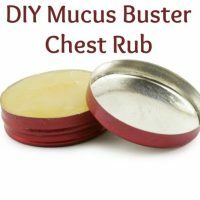 First – let’s take a look at some of the essential oils that I prefer to use to break up mucus that is stuck in the chest. Eucalyptus (one of my personal favorites as I have had success with it promoting the expulsion of mucus, phlegm and other congestion in the respiratory tract). 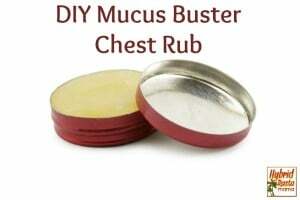 This DIY mucus buster chest rub will have you breathing normally again in no time! It comes together quickly so you can get relief fast. In a double boiler, add coconut oil and beeswax. Melt slowly and keep an eye on it. You do not want it to burn. Once the oil and beeswax are melted, add the cocoa butter. Stir it in until melted and remove from heat. Add the essential oils and gently stir with a wooden or plastic spoon until well mixed. 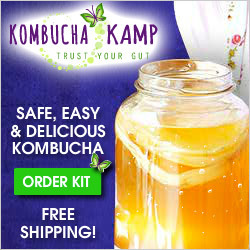 Pour into a clean glass jar or container with a secure lid. Apply to chest every 4 hours and right before bed. You can also apply to the bottoms of the feet right before bed. Be sure to cover the feet with socks. 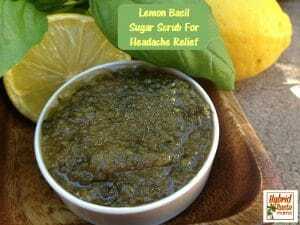 *Feel free to use either lemon or tea tree oil instead of both. This is simply the combination of essential oils that I used. If you use just one, increase the amount to 10 drops. 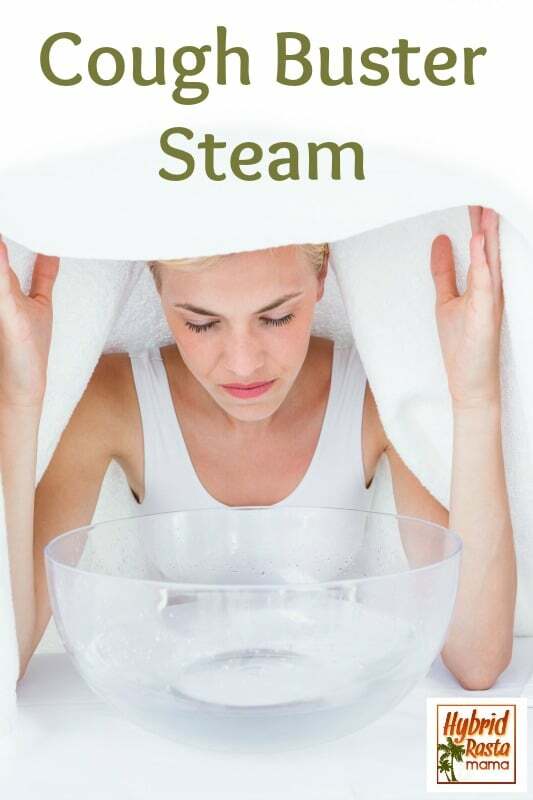 Now onto my personal favorite….Cough Buster Steam! I absolutely love respiratory steams. They can do wonders in my opinion. 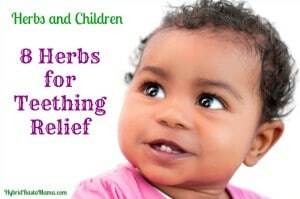 From clearing out stuffy noses to halting some of the worst coughs, steams, when used properly, can do support healing more than a lot of other alternatives. While I have tried quite a few essential oils in a chest steam, these are my personal favorites and the ones I have had the most success with. I have also successfully used Ylang Ylang for coughing fits as it is a known sedative. 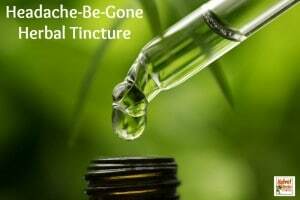 The oil has a distinctly relaxing effect on the body which can really help a spastic cough calm down. Having said that, this essential oil mist must be used with caution, especially with children. I am only mentioning it because I used it in my steam but would not suggest you do so in children. 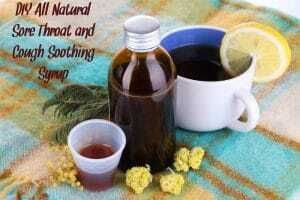 Pour 4 cups of boiling water into a bowl and add 5 drops of the essential oils that you have selected. Place your head about 12 inches (30 cm) above the bowl and cover your head with a towel so you form a tent which keeps the steam in. Keep your eyes shut and breathe deeply through your nose for up to five minutes. If you feel that the treatment is too intense, raise the towel to bring cooler air in. Breathe through your mouth a couple of times and then resume the treatment. Should you at any time feel uncomfortable, discontinue the treatment. 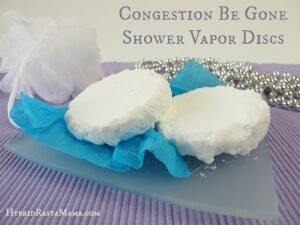 If you do not feel like the steam is working, add a few more drops of essential oils and repeat the steps above. Do this as often as needed but no more than every hour. 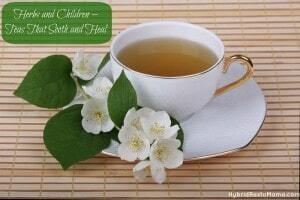 Pour 4 cups of hot, not boiling water into a bowl and add 2-3 drops of the essential oils that you have selected. Place your child’s head about 12 inches (30 cm) above the bowl. DO NOT COVER THEIR HEAD! Have your child keep their eyes shut and breathe deeply through their nose for 2-3 minutes. Discontinue if the steam causes any discomfort. What Brand of Essential Oils Should You Use? Well, that is entirely up to you. However, I use, trust, and love GEO Essential Oils. You can learn more about them at their website and also in this post (which has a couple of awesome recipes for Pre-Shave Oil and Aftershave Lotion). GEO essential oils are what I used in both the mucus buster chest rub and the cough buster steam and they worked like a dream. I highly recommend them not only because the oils are very high quality but also because the folks at GEO are really awesome people! 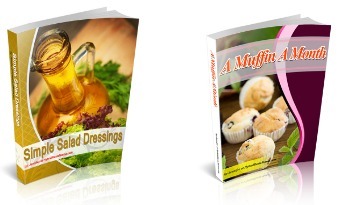 Are you going to try these recipes? If so, I would love to hear how they worked for you! 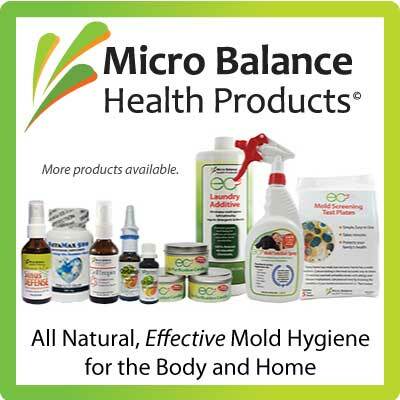 « Looking For An Alternative To Antibiotics? 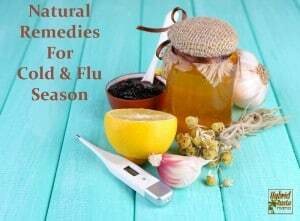 Try These 4 Herbs.